As you may know, Swaziland is a kingdom with an absolute monarchy. King Mswati III is a symbol of all things Swazi. 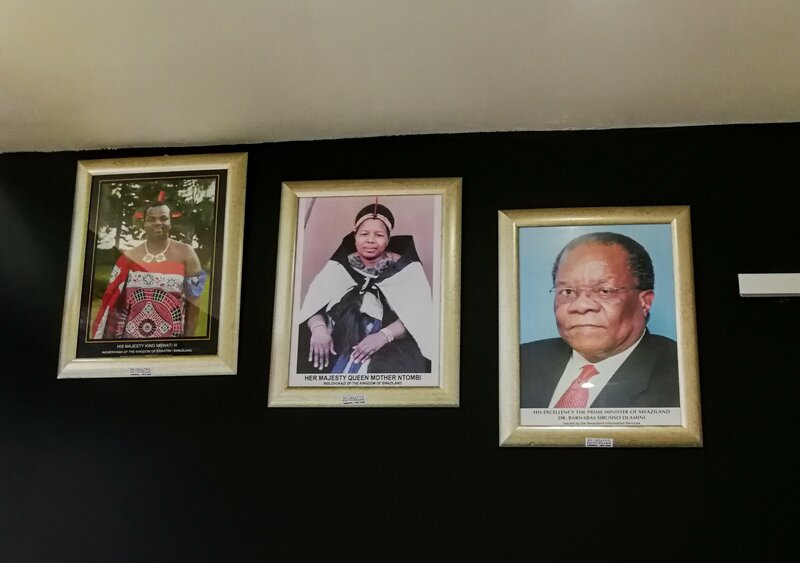 As such, pictures of the king are all around Swaziland. Photos of the king aren’t limited to government offices and organizations. It’s typical of businesses and offices in the private sector to show reverence by displaying three photos. The highest photo is of the king. The next photo is of the queen mother. The last photo is of the prime minister. The above picture was taken at a restaurant in Mbabane.